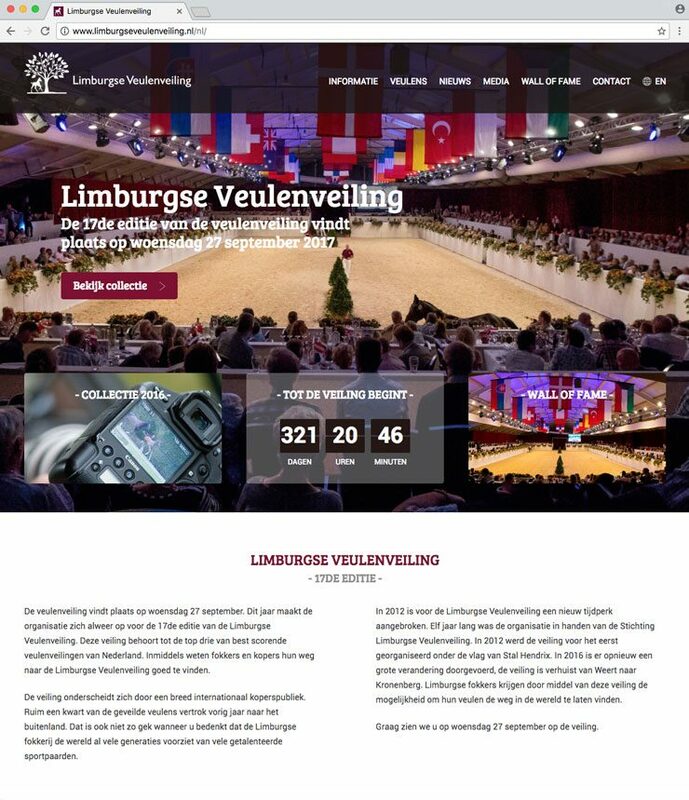 The Limburg Foal auction is a yearly event that was first organised in 2000. The purpose of the auction is to provide a sales channel for breeders in the south of the Netherlands. Now it is a worldwide known auction and attracts buyers from the whole world. 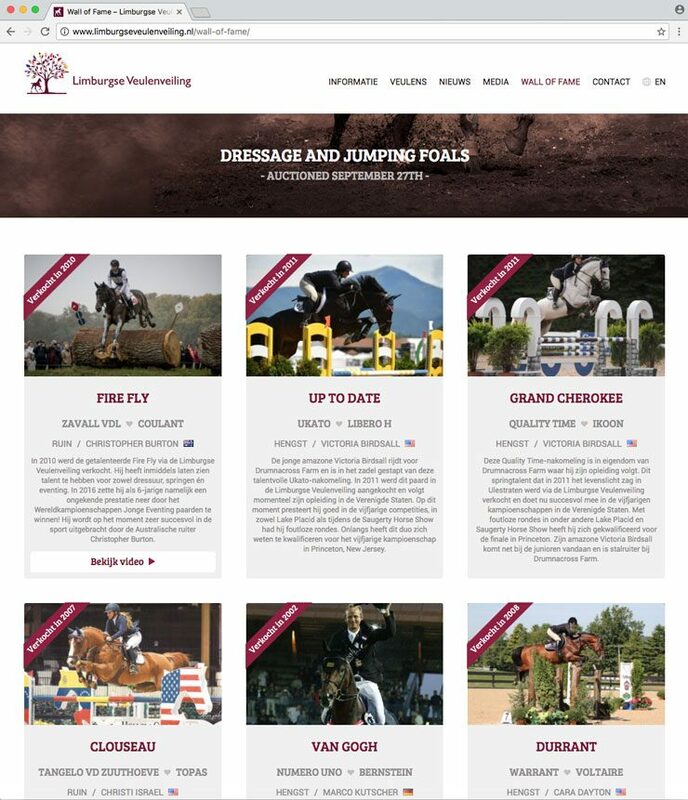 Besides organising the auction assigned by Stal Hendrix, the equestrian marketingbureau Equine MERC renewed the website. The website fits the international character of the auction perfectly. We also keep the website up to date and post news messages.